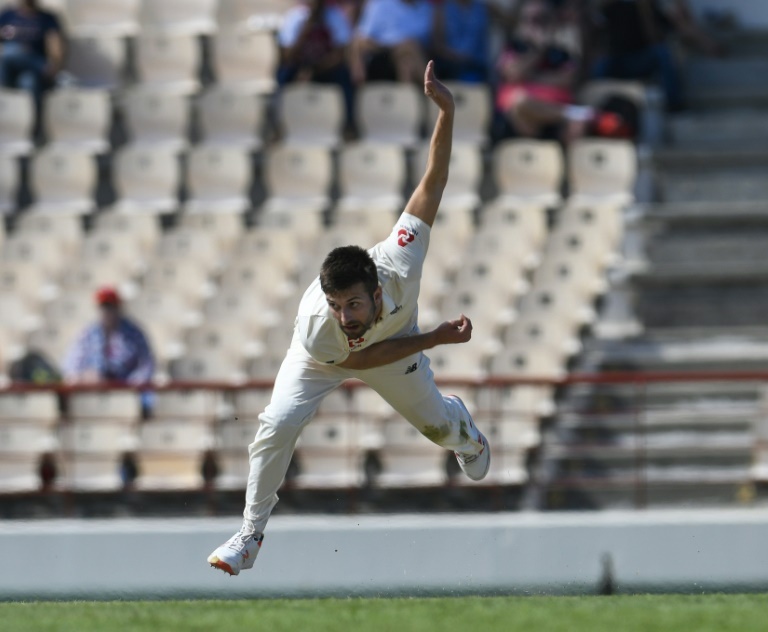 CRICKET NEWS - Mark Wood answered West Indian pace with fearsome heat of his own as the fast bowler claimed his first five-wicket innings haul in Tests and put England in control on the second day of the third and final Test in St Lucia on Sunday. Playing his first match of the series, Wood tore through the heart of the home side’s batting to finish with five for 41 as the West Indies, replying to England's first innings total of 277, crashed from 57 without loss in mid-afternoon to 154 all out an hour before the close of play. Wood's raw speed unsettled the West Indies middle-order batsmen after Moeen Ali ended another half-century opening partnership by accounting for stand-in captain Kraigg Brathwaite and partner John Campbell off consecutive deliveries. Ali supported Wood's hostility at the other end with subtle variations to finish with figures of four for 36. "It feels fantastic. All the hard times I've had with injury, and the self-doubt, today I feel like an England," said Wood. "I feel great with this new run-up. When you get a wicket in your first over the adrenaline starts pumping."